There is a saying, “When the praises go up, the blessings come down.” Meaning, when we praise and glorify God, He will “rain” down blessings. But what if God doesn’t make everything work out every time we praise Him? Is He still worthy? Shadrach, Meshach, and Abednego realized they served and loved a God worthy of everything despite facing death. Even if you’re struggling at work today, praise God, not for what He CAN do, but for what He DID do for you. Today’s “Integrity Moment” was adapted with permission and was courtesy of our guest author, Matt Cline. 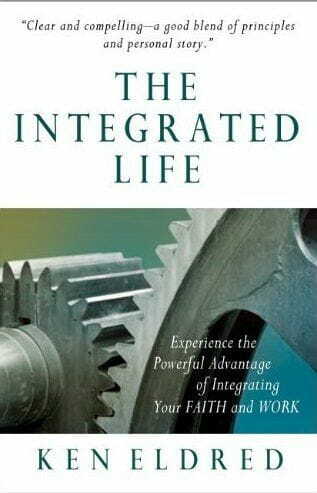 Eldred reveals how to find a deep integration between our work and faith such that all areas of our lives further God’s kingdom, glorify him, and fulfill our life mission. Click here to purchase.